A parliamentary session was held on Tuesday to discuss the Cabinet's policy statement where MPs will give the newly formed government their votes of confidence. 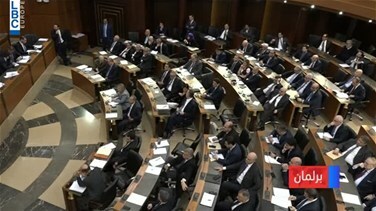 Speaker Nabih Berri opened the session by observing a minute of silence for late MPs Edgard Maalouf and Robert Ghanem. Then, Prime Minister Saad Hariri read the Cabinet’s policy statement. Former PM Tammam Salam gave his vote of confidence and voiced hopes that the new Cabinet would achieve the goals set in the policy statement. For his part, Hadi Aboul Hassan gave his vote of confidence and said that the slogan of fighting corruption must be translated into an actual approach.